Are you thinking about opening your own business but concerned about the risks involved? Have you ever considered franchising as an option? There are many advantages of buying into a franchise, rather than opening up your own startup business. One of the misconceptions many people have about franchising is that franchisors are looking for ‘true entrepreneurs’ as potential franchisees in their systems. This is generally not the case. True entrepreneurs are individuals who are willing to take on the risks that come with starting a new standalone business. They have considered the obstacles their startup might encounter and have planned accordingly. These individuals have decided on a unique business model and won’t necessarily be suited to pre-established processes and systems. 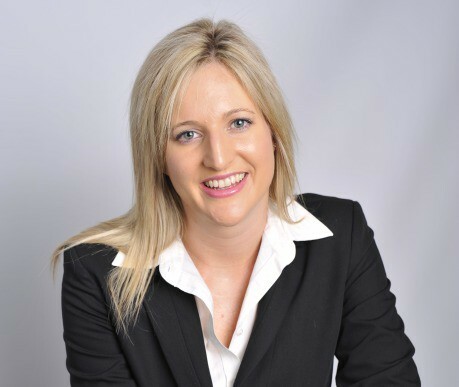 “Franchising is a way to avoid unnecessary trial and error, involved in starting up a new business,” says Simone Cooper, Head of Franchising and Enterprise Development at Standard Bank. 1. Are you willing to take responsibility and manage your own business? One of the misconceptions about franchising is that buying into one and running it is easy. This is simply not true. Although the franchise system will offer start-up training and full support, you as the owner must be willing to run and manage the business. “Most successful franchises have owners who are hands-on. You will probably work harder, longer hours, doing everything from managing staff, dealing with customers and mopping floors,” says Cooper. 2. Are you able to work within the boundaries of a set system? A good franchise company has invested years in trial and error to find the best model for operating a sustainable business. The franchisor has spent time investigating various systems and processes to find what works best. They are not looking for prospective franchisees who want to come in and reinvent the wheel. “The key to a successful franchise is the consistency in the product or service that customers find from one franchise store or restaurant to the next. Buying into a franchise and displaying the logo tells customers that you prescribe to a certain brand’s set values and standards,” says Cooper. 3. Do you have strong people skills? Successful franchisees always have excellent interpersonal skills and can effectively interact with their employees, customers and the franchisor. These skills are integral to building a sustainable business. 4. Do you have a stable support system? Managing a franchise is a full-time job. You will have to sacrifice a great deal of your personal time with family and friends to ensure that your business is run efficiently. 5. Will you enjoy the franchise? Many people view a franchise as a quick way to make money, without actually considering whether the type of business they are entering into suits their personality and aligns with their passions. You need to have a natural affinity with the franchise brand that you select so that you are able to enjoy what you do. 6. Can you afford the franchise? Although the franchisor will be able to guide you in terms of startup and running costs, these will vary due to building rental leases and other acquisitions you will require to run your business effectively. Ensure that you have sufficient startup and working capital to sustain you for your first year or so in business, as typically you will only start seeing a return on your investment after the first year. 7. Are you able to learn from others and, in turn, coach new franchisees? The motto of franchising is that you are ‘in business for yourself, not by yourself’. All successful franchises actively look for opportunities to learn from others in their franchising system. It is important to note that you are not in competition with one another, but rather in competition together. 8. Are you willing to pay royalty fees to the franchisor? Buying into a franchise system means that you are buying into a proven concept with an established brand. The franchisor has spent years developing and building the brand. In order for you to trade under their umbrella, you will have to agree to pay a certain amount in royalty fees to the franchisor. This is an ongoing arrangement, for as long as you are using the franchisor’s brand. 9. Are you able to be flexible in terms of the franchisor’s legal requirements? Should you buy into a franchise and later decide to sell, you are bound by contractual requirements to involve the franchisor in your negotiations around the sale of the business. This ultimately means that you cannot sell the franchise to anyone, and you will need the buy-in and permission of the franchisor before such a transaction takes place. 10. Do you have minimal or no previous business or industry experience? A franchise makes it easier for first-time business owners to succeed, by giving them access to established, successful business processes and systems. Independent businesses have to develop and test their systems and processes, and this is where the magnified risk factor stems from. The choice between buying a franchise or launching a standalone startup business ultimately boils down to your personality. Assess yourself and weigh up the advantages and disadvantages of each business model. “Finding the right fit for yourself can assist you in reaping the maximum benefits and rewards associated with having your own business,” says Cooper.